Are you uncertain if the Bank Holiday Weekend will impact your waste collection today? Wrexham Council have reminded residents that there will be no changes to the usual collections over the Bank Holiday. 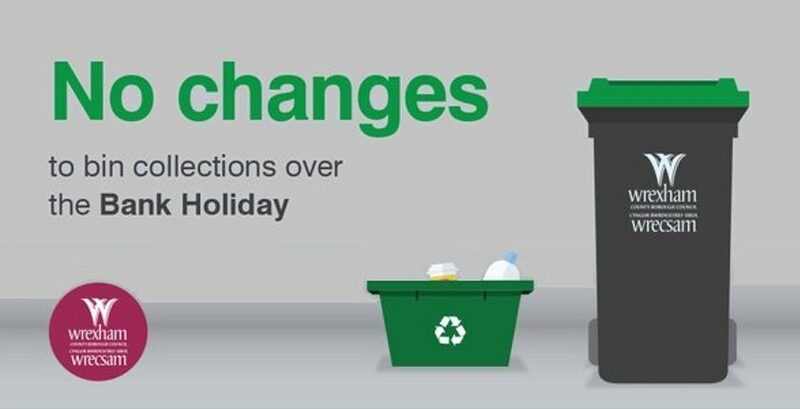 More information on Bank Holiday collection days can be found on the Wrexham Council website here.